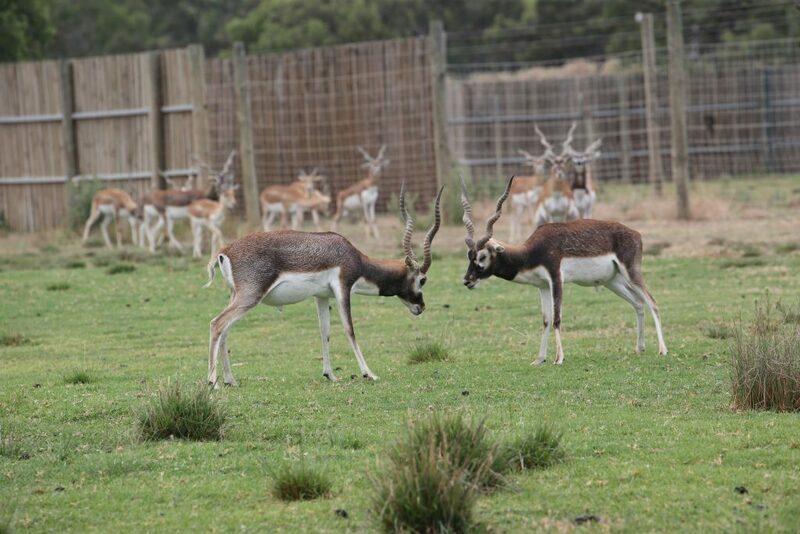 Blackbuck can be found in a range of habitats including open plains, grassland and open woodland. Native to Asia, Blackbuck once roamed throughout most of India. 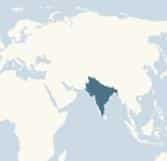 Today this species occurs mainly in India, with a small population still existing in Nepal. It has been declared regionally extinct in Pakistan and Bangladesh. Introduced populations occur in Argentina and the USA. Females and young have a uniformed light brown coat with white on the face and underside. Males develop dark brown-black upper parts and outside of the legs at about 3 years old which darkens with age. Males grow striking spiral horns up to 70cm long that are marked with rings and sweep backwards from the head in a V-shape. They are a medium sized antelope reaching a height of 73-83cm at the shoulder. Adult males range in weight from 34-45kg while females are slightly smaller at 31-39kg. Indian Blackbuck are the fastest Antelope in the world. They jump while running to show off to predators showing how strong and healthy they are, making them appear like a difficult food choice. Males darken in Breeding season to impress the females then fade again once all females are pregnant. Group structure: Strong herding instincts which usually comprise of a dominant male and up to 50 females and young. 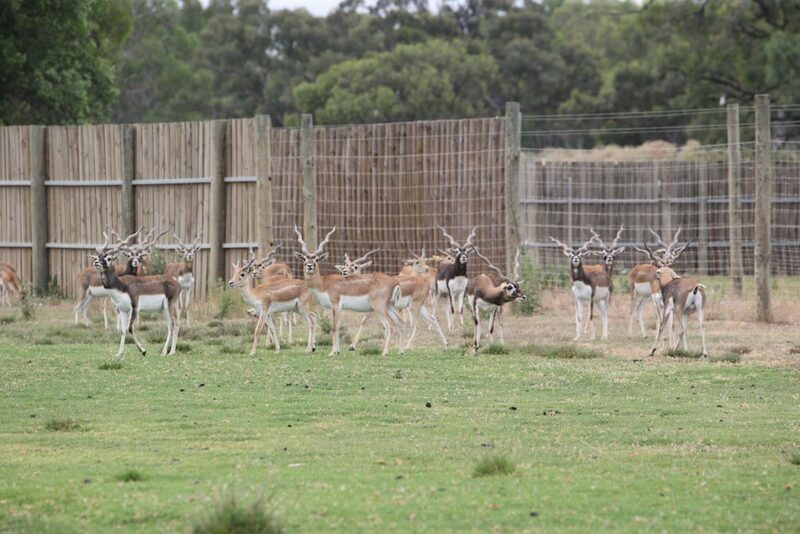 Other males form bachelor herds. Reproduction: Mating occurs throughout the entire year, During the rut males become extremely aggressive defending their females with the occasional antler fight. The gestation period is 6 months with 1 young being born. Young are born with no scent for the first few days to help their survival and prevent predators from finding them hidden in long grasses by their mothers. Males scent mark trees, bushes, etc. to mark their territories. 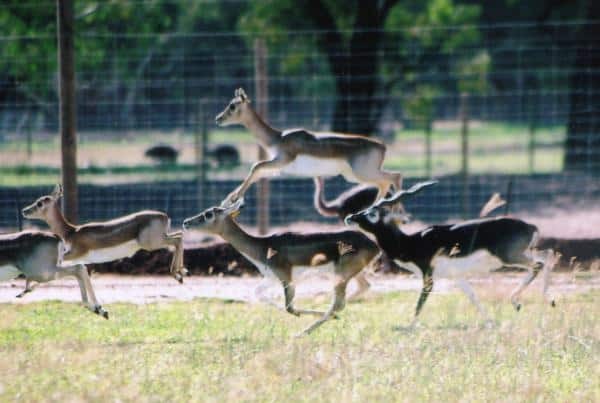 Blackbuck can reach speeds up to 90kms per hour with strides up to 6m long and can leap up to 2m in height. This ability could outrun many predators which in the past was the Asiatic Cheetah (now extinct).